I just returned from a short city trip to Sofia, the capital of Bulgaria. The city is absolutely worth a visit: a compact old town center which is perfect for walking around all day, with a wonderful hodge-podge of architectural styles (art nouveau/1930s/1950s and later). Most of the buildings are still very much in disrepair and/or graffitied/vandalised but enough houses have been renovated and restored that you can see the beauty of the cityscape. My first visit to Sofia was in 2008 and back then the city looked a lot more – well, let’s say: unfinished! Today there is an almost palpable creative energy: new cafés and bars are opening in beautifully renovated historic buildings and small art galleries, fashion boutiques and maker/design stores are popping up everywhere. And organic beauty/food retail chain Zoya is a perfect example of this new kind of urban development. 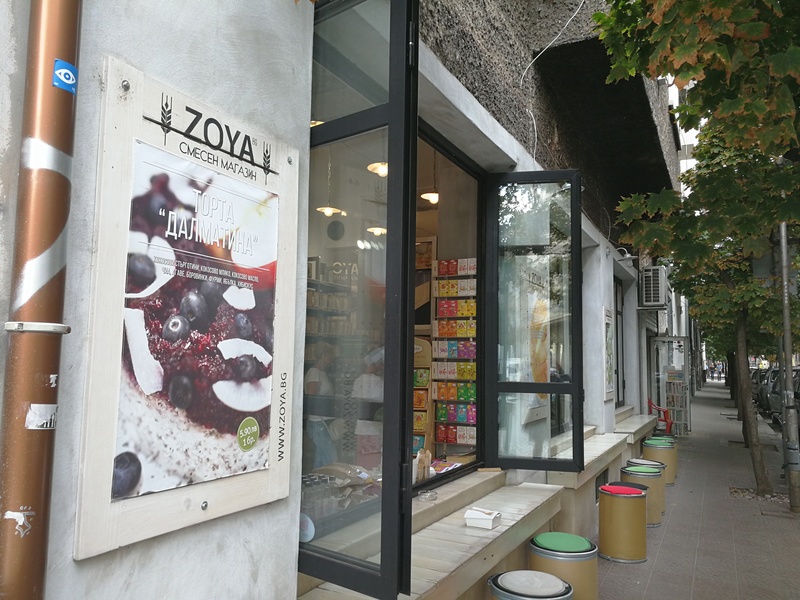 The Bulgarian company’s first store was opened in 2009 which, presumably, makes Zoya one of Sofia’s organic retail pioneers. Today, Zoya operates three stores in Sofia as well as a flourishing online shop. This is the fourth time I’ve attend organic trend show Next Organic (if you’re interested, here are my articles about Next Organic 2015 and Next Organic 2014). 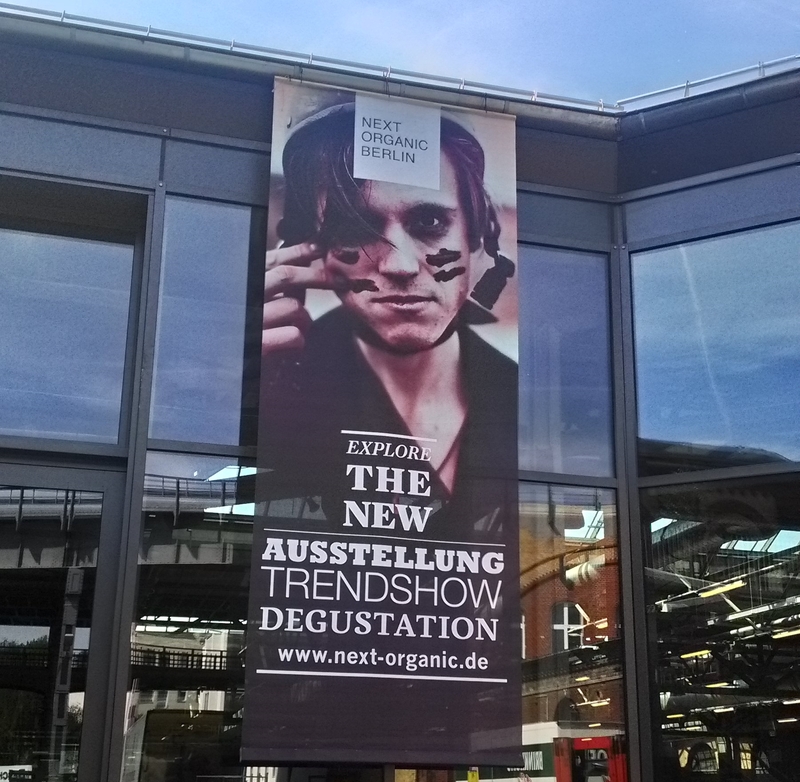 What I like about this compact little trade fair is that Next Organic is refreshingly non-dogmatic: a brand’s regional heritage and an ethical, sustainable production process is more important than organic certificates. This makes Next Organic is a great place to discover small manufacturers, artisan food labels and innovative food start-ups. Each year, Next Organic organises a start-up competition and the winners get the opportunity to present themselves at the trade show. And in 2016, there were some fabulous brand concepts to discover: seaweed pasta made from algae harvested in Ireland, a company selling food products sourced from conflict countries and a food label which manufactures bone broth in convenient to-go packs. On a side note: I also enjoyed seeing Paleo foods mingle so harmoniously with vegan brands!